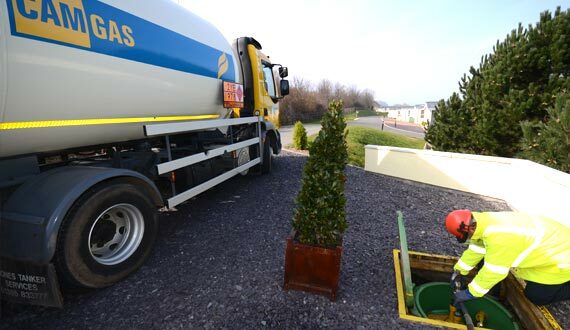 Mains gas is stored in a storage vessel and piped to each caravan or holiday home. The benefits offered to owners of a mains rather than a bottled gas system are self-explanatory. Say goodbye to the chore of lugging cylinders around in the rain and hello to fingertip control of a fully integrated LPG supply. While touring caravan parks continue using electric hook ups, more and more holiday parks are opting for a piped LPG system. The reasons for making this switch can vary. When you consider that a series of trenches must be excavated for the pipes, many park owners make the decision to upgrade other services such as sewage, electricity, water, telephone, internet and cable TV at the same time. In the past, a telephone company offered to dig the trenches so that it could lay internet access cables. 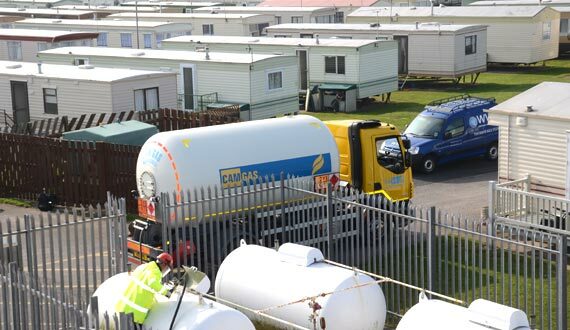 CamGas offer a complete package from design through to installation and has many years’ experience installing LPG systems in holiday parks, workshops, offices and leisure complexes. We also offer full after sales support with Gas Safe Service Engineers, bulk supply of gas, billing and training for your onsite operatives. We can provide bulk LPG storage tanks either above or below ground and tailor our regular topping up service to your specific needs. Once our installation is complete, our associate company LPG Training and Assessment can provide bespoke training for your staff, from basic knowledge up to full Gas Safe registration. Contact us for more advice or to arrange a site visit.